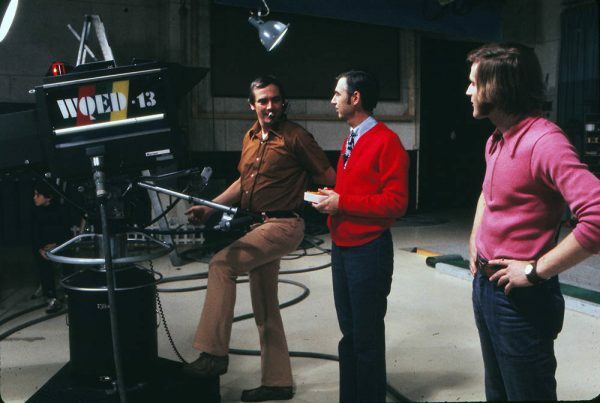 To make a television program, it takes a whole neighborhood. 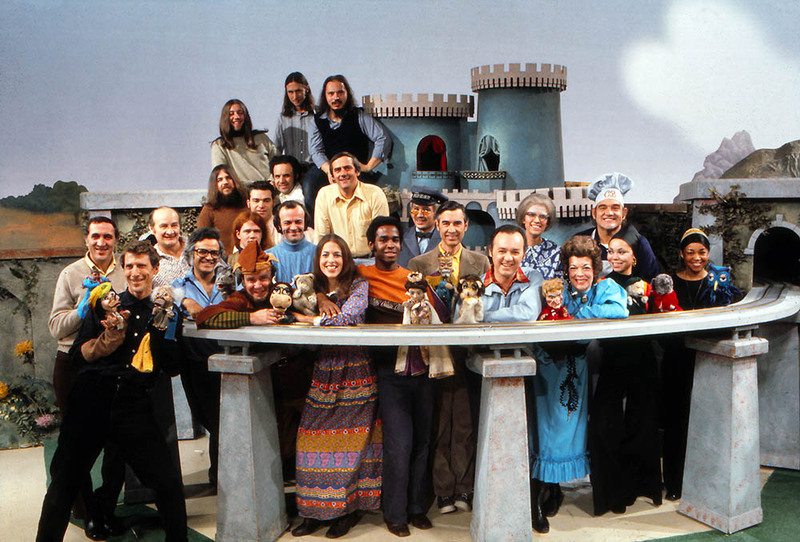 That’s true even for a program as simple as Mister Rogers’ Neighborhood, with its primitive sets, a single host and small cast. 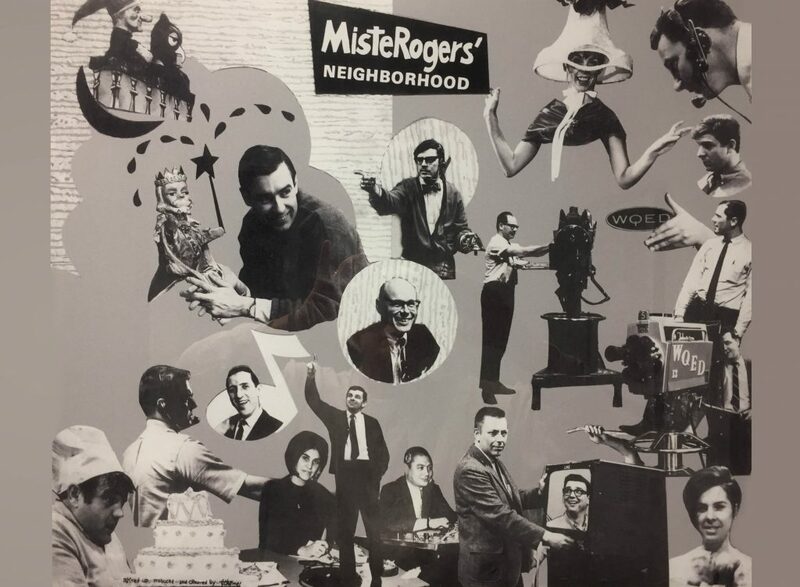 Television production is a complex and complicated endeavor, and hundreds of people played a part in helping Fred Rogers realize his vision for Mister Rogers’ Neighborhood. 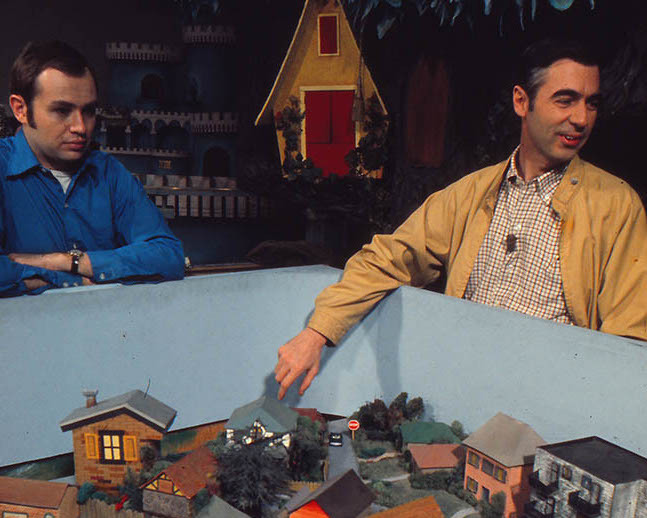 These were not only the craftsmen and women of the scenic and technical crews who worked directly on the studio production, they included as well all those people who, over the decades, worked at Family Communications, Inc. the small non-profit company that Fred Rogers founded. 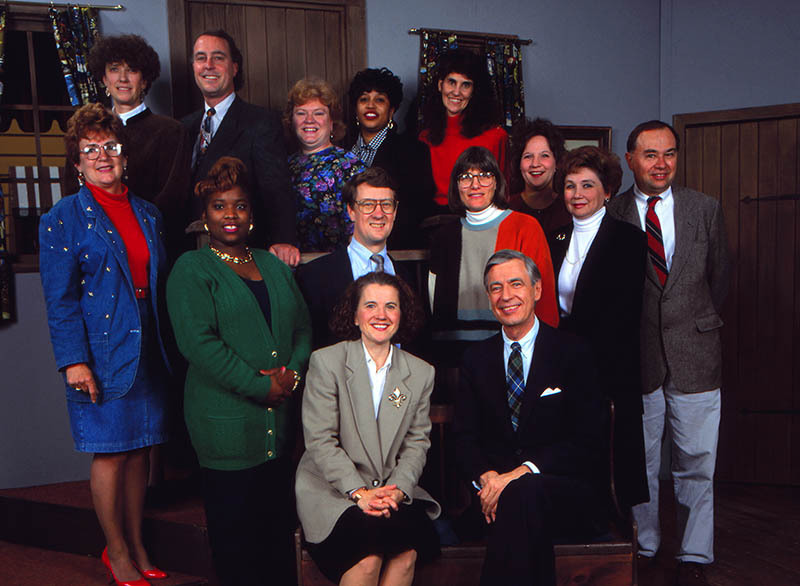 There, a handful of devoted staff that changed little over the years, included administrators and bookkeepers, secretaries, receptionists and public relations staff. 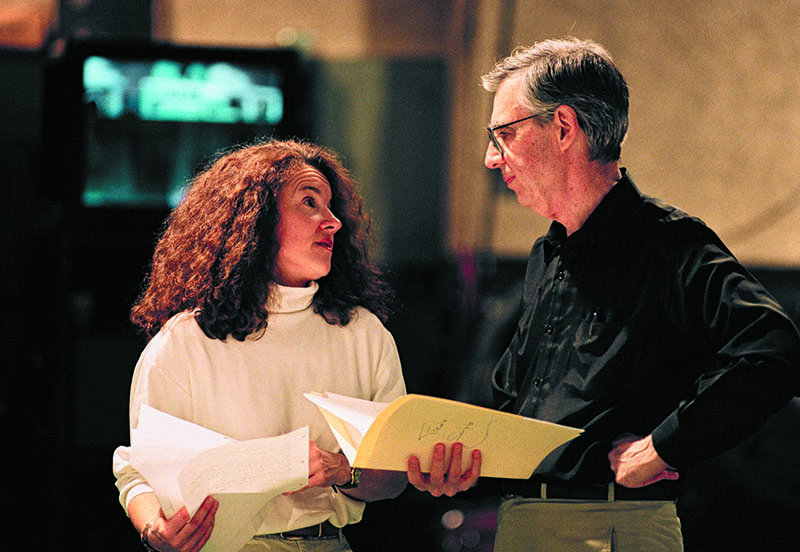 While Fred Rogers was the Executive Producer, there were producers and directors, associates, assistants, and editors who carried on the pre-and post-production work. 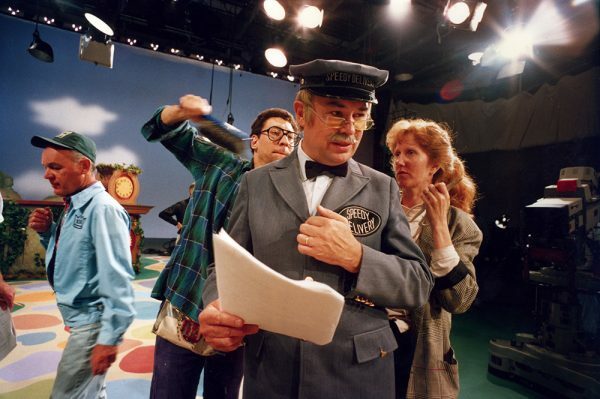 It was not just Fred Rogers’ neighborhood. 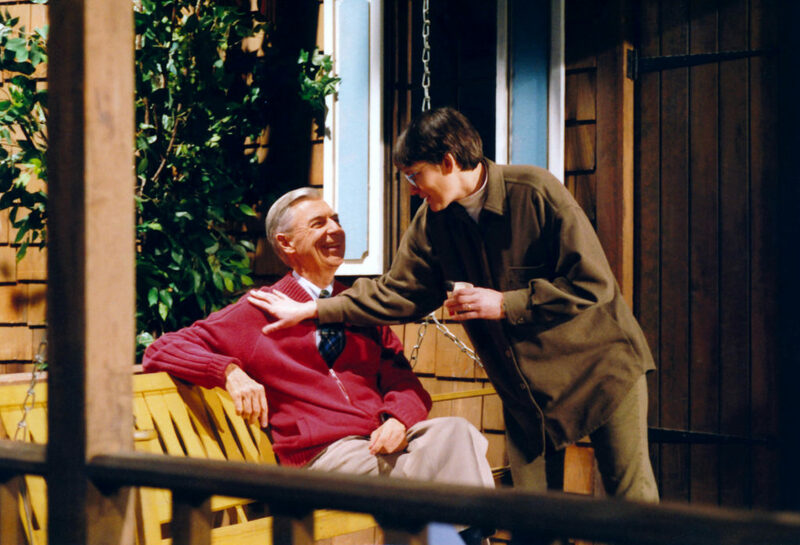 It was their neighborhood, too. 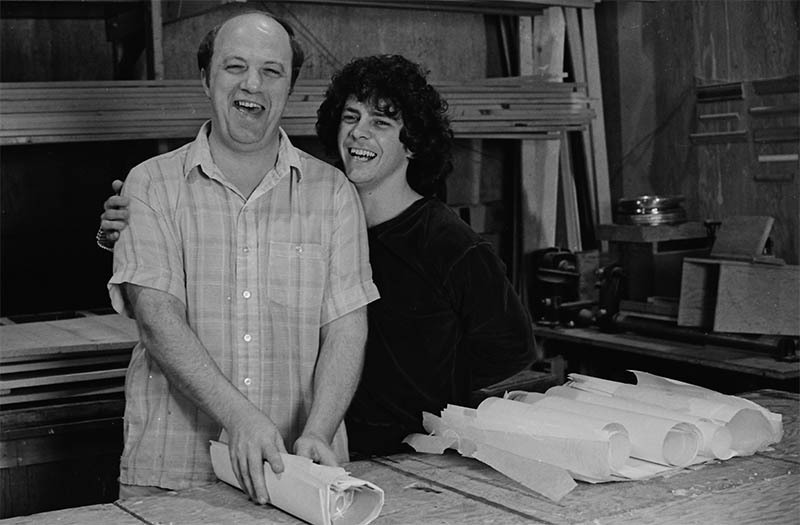 It couldn’t have been done without them. 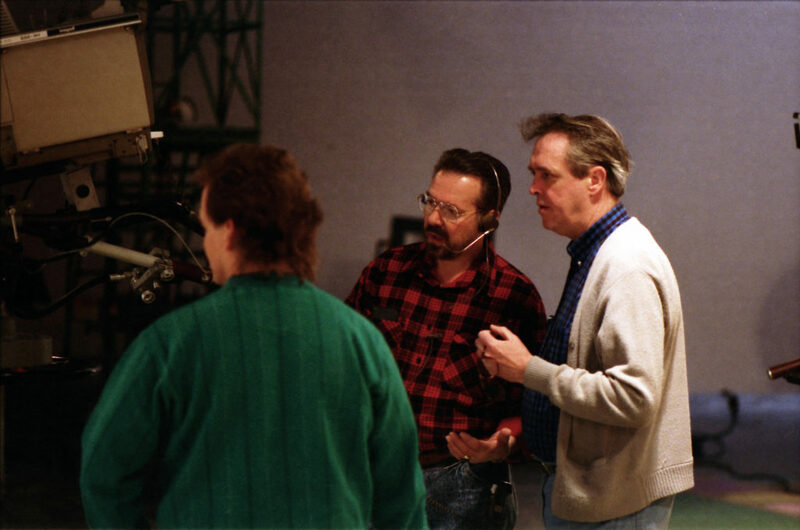 See some of the crew behind the scenes. 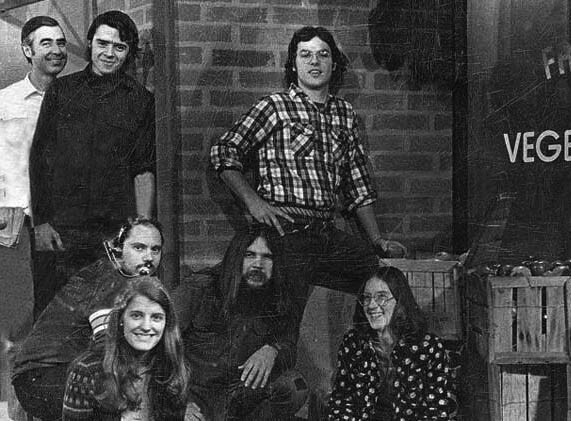 They were an eclectic band of artists, builders, seamstresses, designers and generally creative individuals, drawn from the scene shops and studios of the Pittsburgh Public Theater, KDKA-TV, Carnegie Mellon University, Pittsburgh Filmmakers and every other locus of theater and media in the city. Fred had a very specific vision of what he wanted. 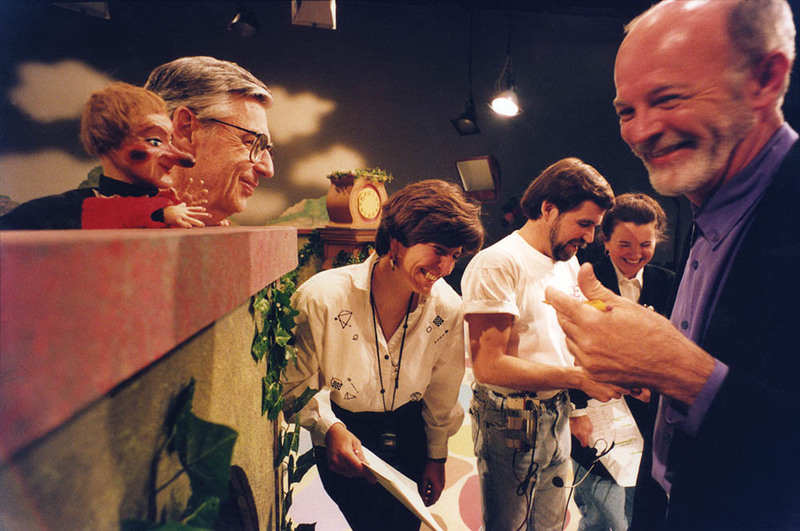 He had an almost childlike love of having things fly around the studio, for example. 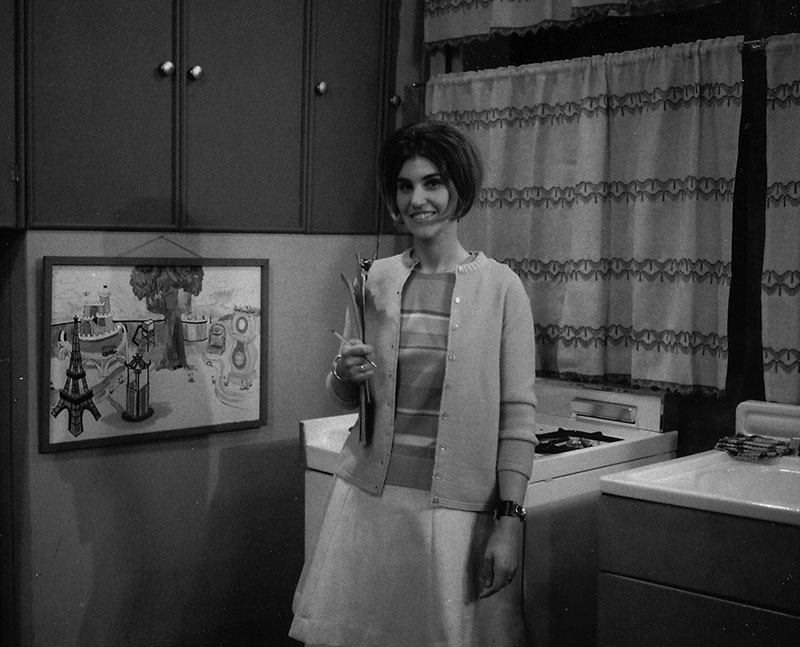 And it was the Art Crew challenge to figure out how to make everything happen. How to make cereal fall from the sky like snow? How to build and plumb a working waterfall and swimming pool for King Friday to swim in? 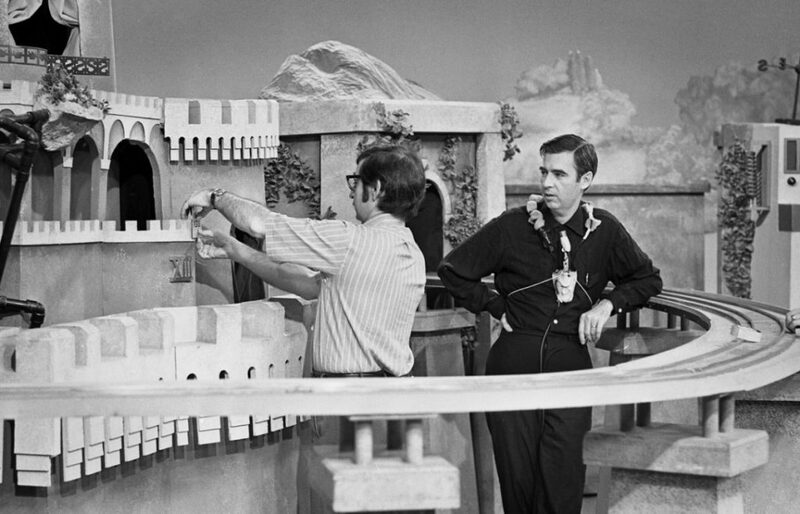 What kind of costume to make Neighbor Aber look like a “celestial star that glows?” The quirky props required by the Mister Rogers’ Neighborhood scripts often required painstaking craft: modeling and building and sewing. 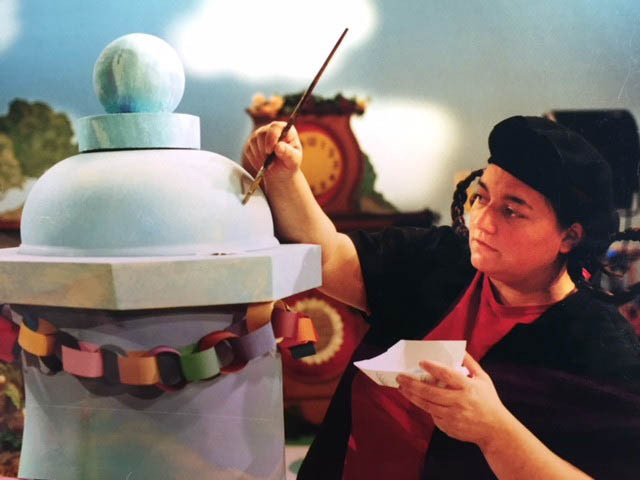 When the “Brockett’s Bakery” set was being readied in the studio, crew members could go to the best bakeries in Pittsburgh and fill the display cases with donated doughnuts, bread and pastries. 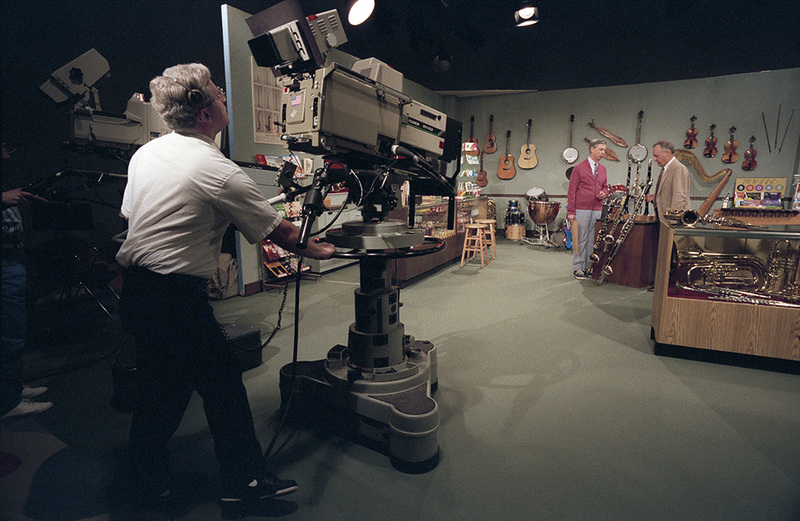 When “Negri’s Music Shop” was in production, they could go to the music departments at the local schools and universities and be given every imaginable instrument to put on display. 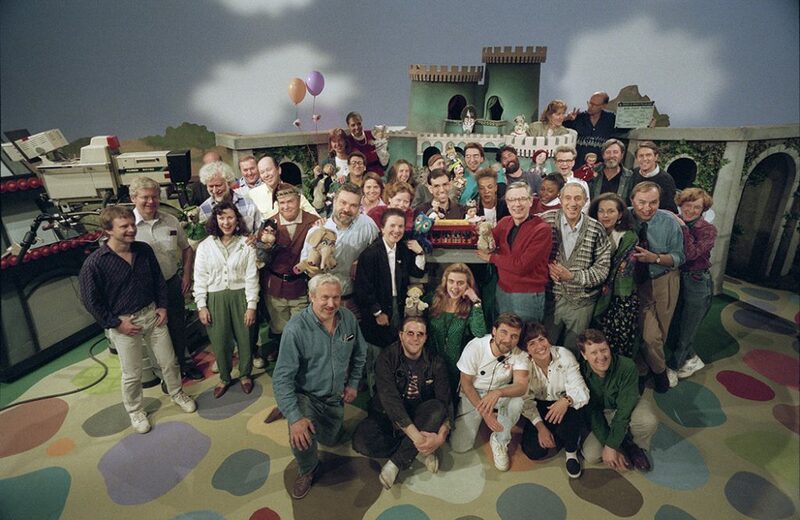 The Art Crew depended on the entire Pittsburgh community to support the realization of Mister Rogers’ Neighborhood. 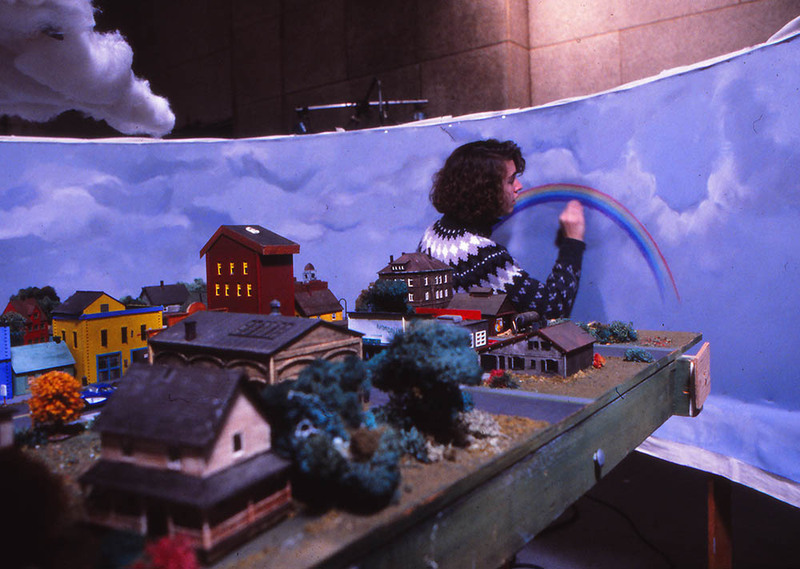 Crew members valued the meaningful work and creative camaraderie of the long days and late nights they spent bringing this Neighborhood to life. Many children of Art Crew parents were welcome in the Studio after school to do homework, or even help out. 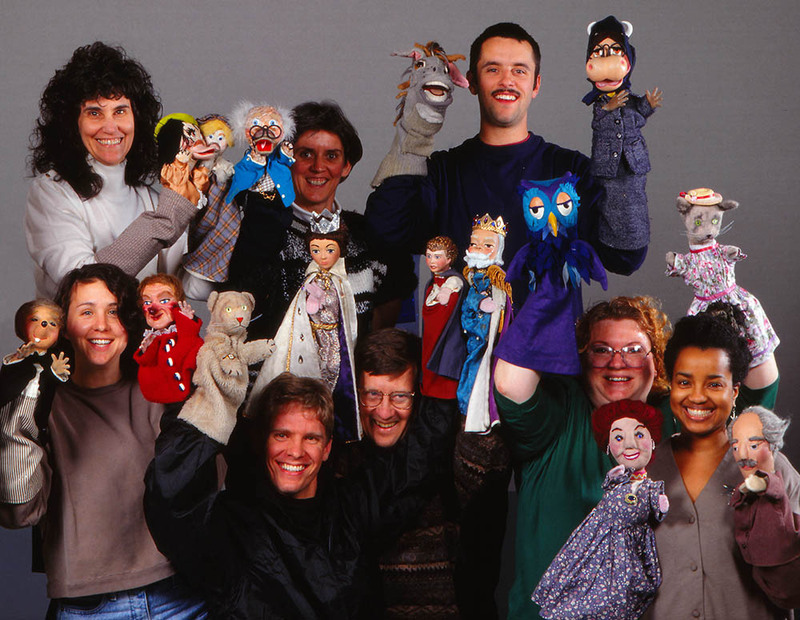 And after the series ended, some went on to impressive careers in scenic design and production in Hollywood, while others excelled as attorneys, graphic designers and even prominent real estate professionals, supporting real neighbors and neighborhoods. Sometimes things don’t go quite right. 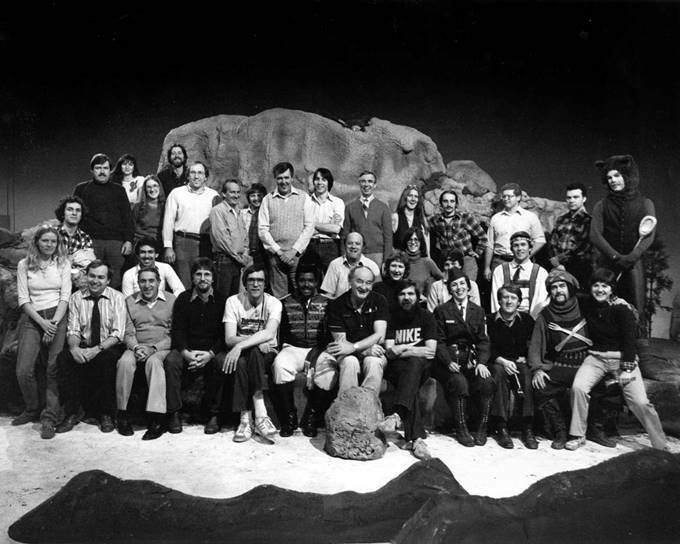 Fred Rogers’s work was dependent on two sets of union workers whom he trusted and counted as friends: The Production Crew and the Engineering Crew belonging to the International Alliance of Theatrical Stage Employees otherwise known as IATSE. 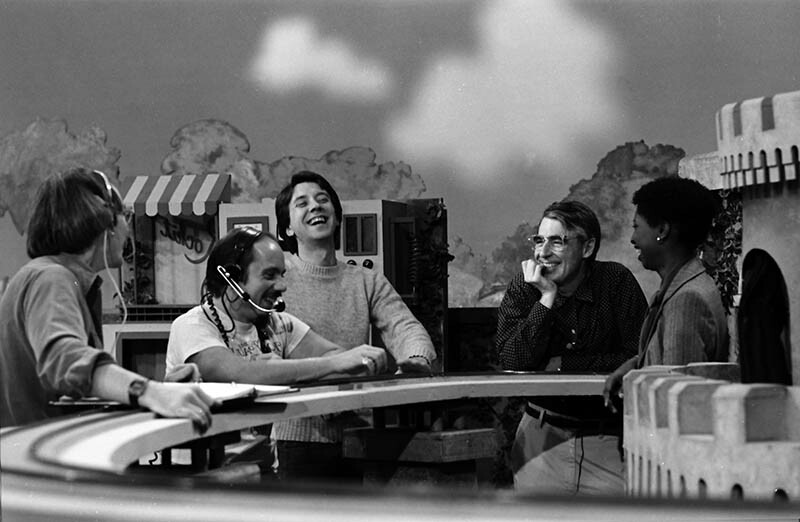 Although WQED-TV originated a great deal of national programming, including National Geographic Specials, Mister Rogers’ Neighborhood was the only on-going series of national programs written, produced, video taped and edited entirely in its Pittsburgh studios. 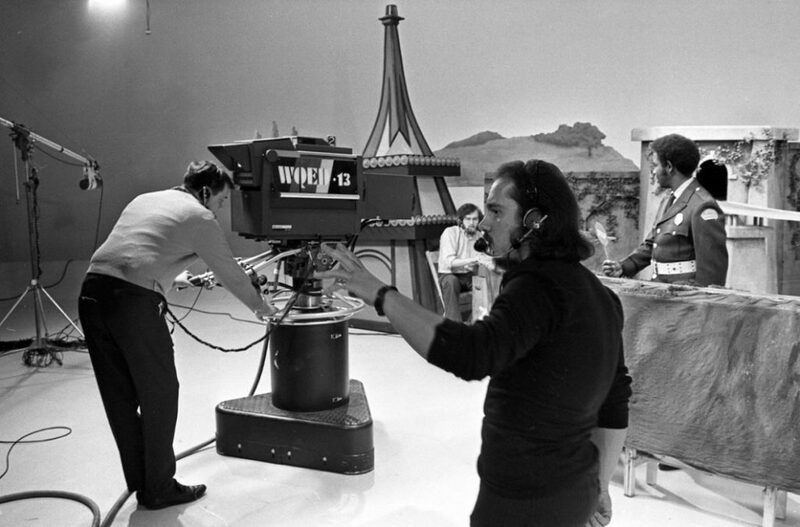 The production and engineering crews were aware that their technical work represented WQED to the rest of the country on a weekly basis. 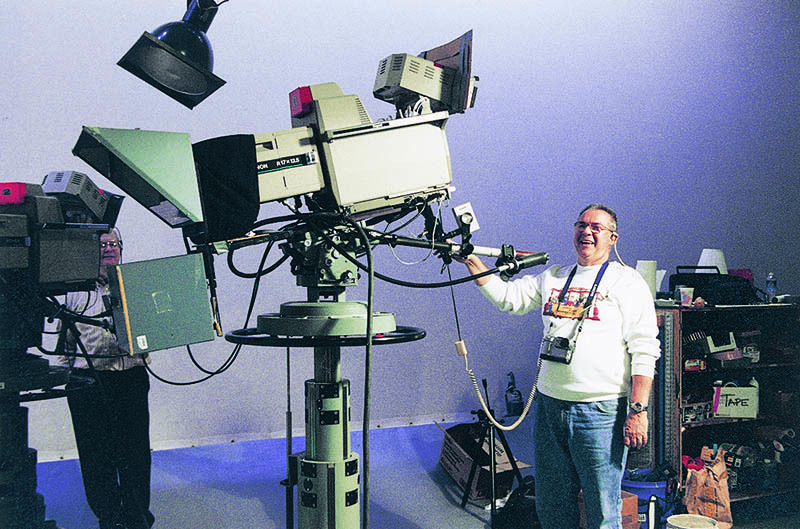 The Engineers were the cameramen – operating three, and sometimes four, large pedestal video cameras in Studio A, the largest television studio in the entire Tri-State region. 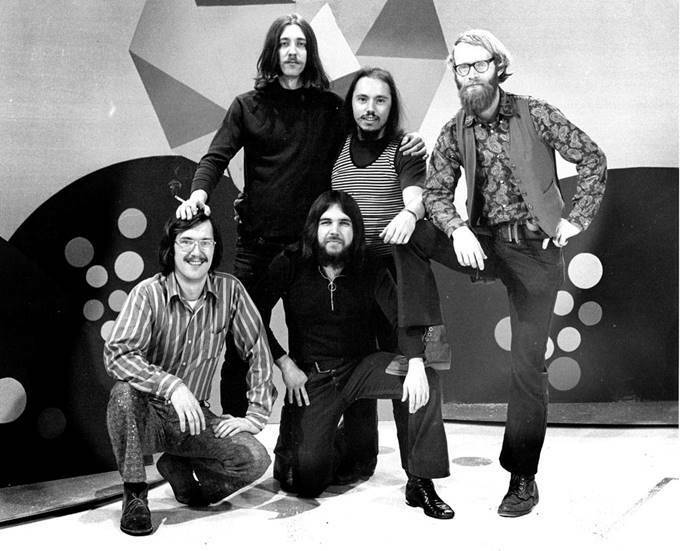 They were the audio professionals – in charge of recording sound. 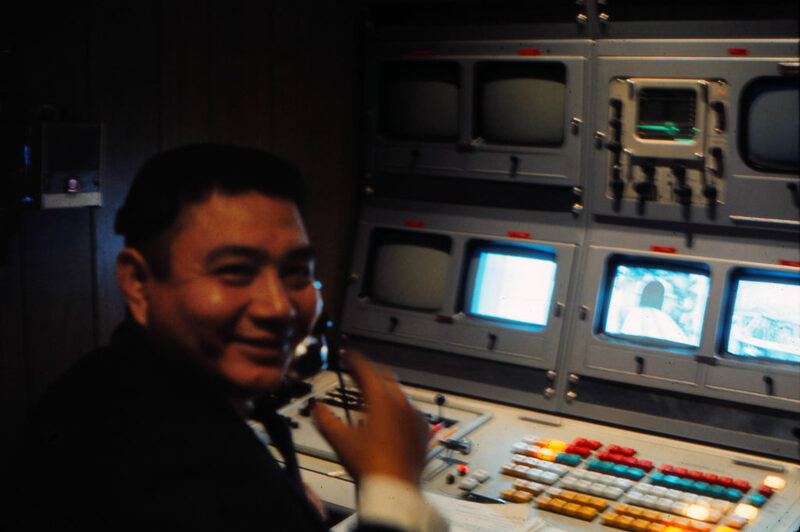 They were the video tape and editing specialists, creating the final video tapes that would be fed to the network for broadcast. 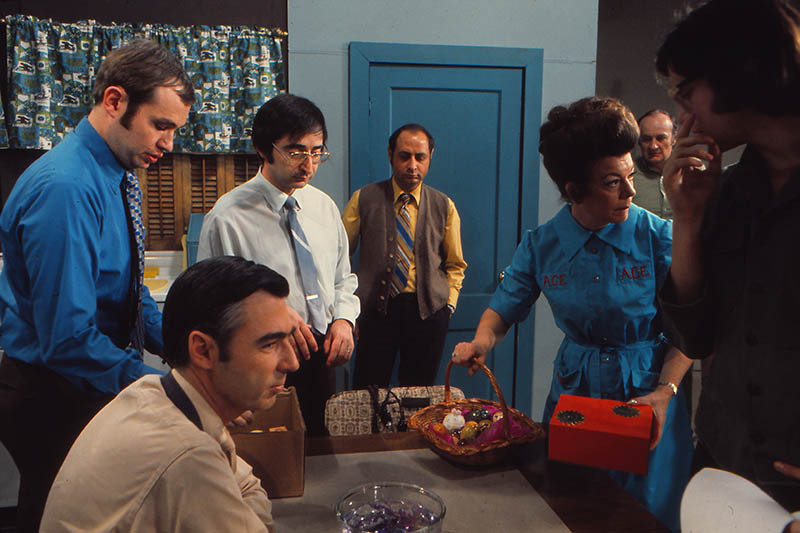 When Fred Rogers communicated directly with his young viewers, it was the Engineers who framed his face exactly the way he wanted it. 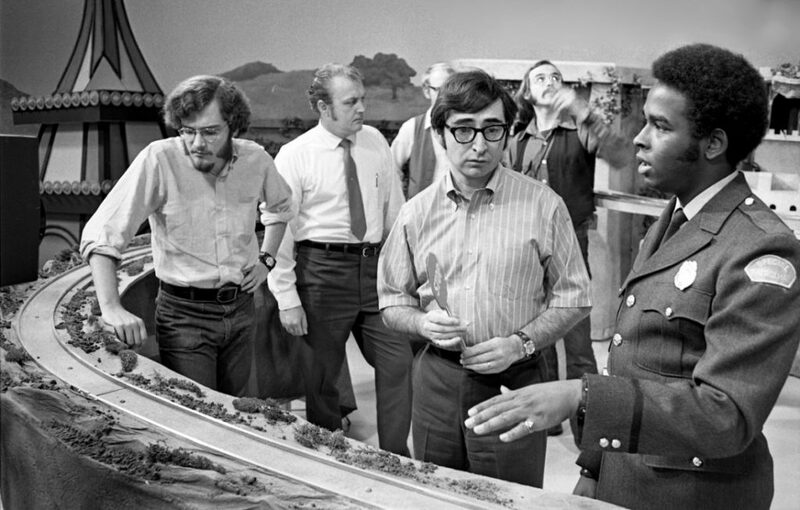 It was they who carefully zoomed in to look at the fish in the fish tank. 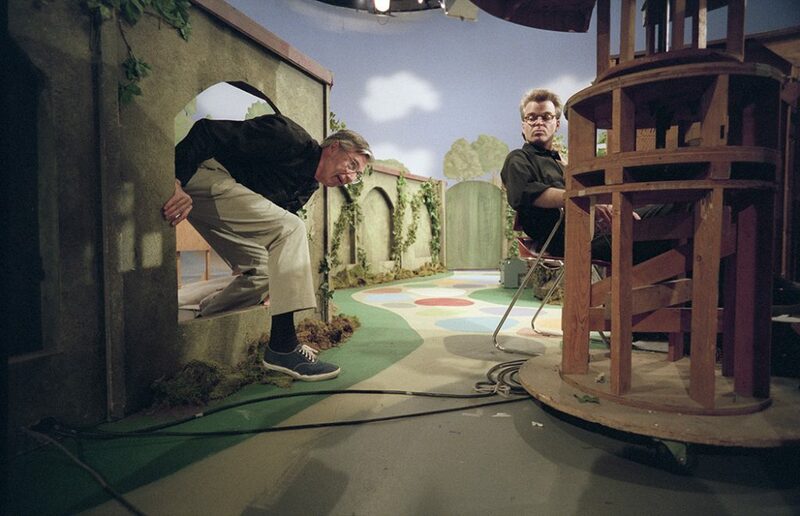 They followed Mister Rogers out the door at the end of the program. 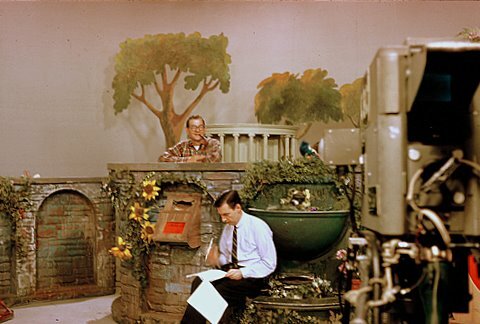 They made sure that Fred’s quiet voice could be heard, clearly, without extraneous noises or rustling microphones to distract the viewers. 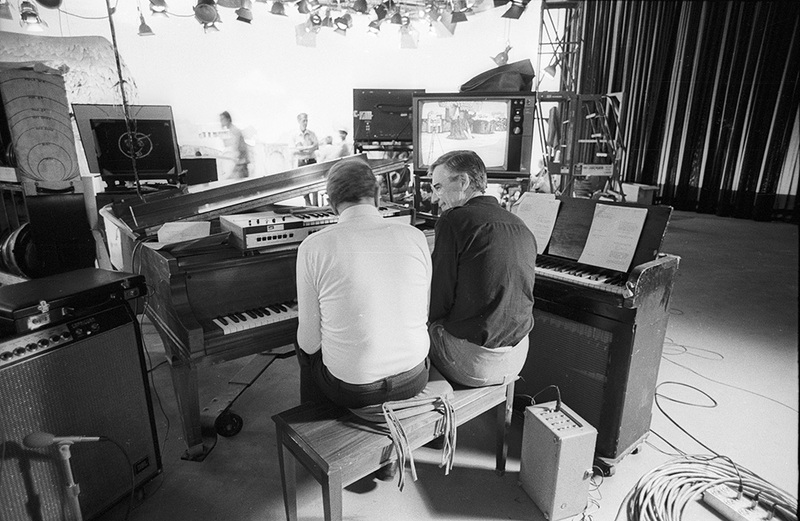 They were the eyes and ears of the program. 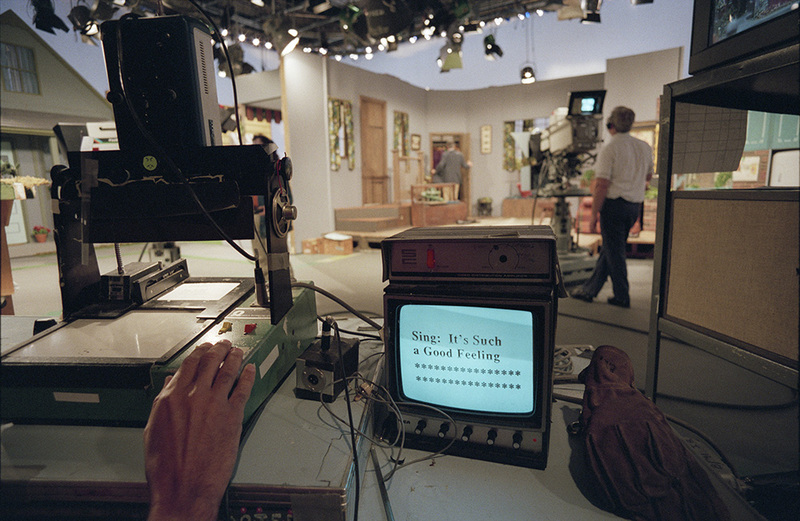 The Production Crew were in charge of getting the studio ready for production. 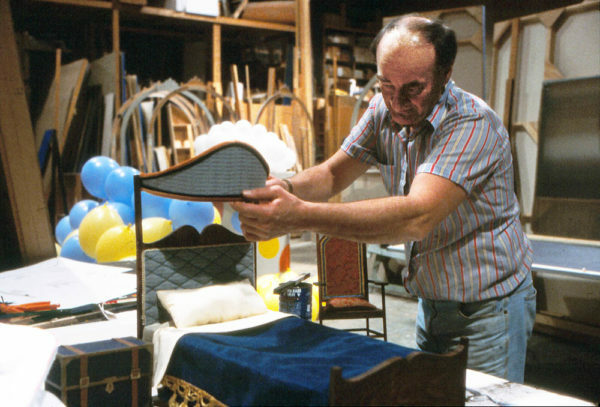 They set up scenery – and took care of repairs and minor carpentry. 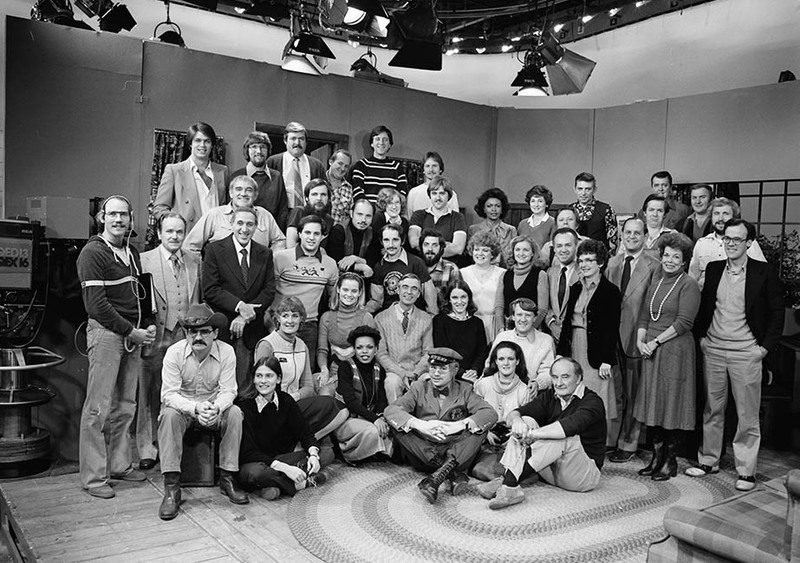 With direction from the Lighting Director, they installed lights all over the studio including those that hung from the grid and ran all the electrical cables on the set and in the studio. 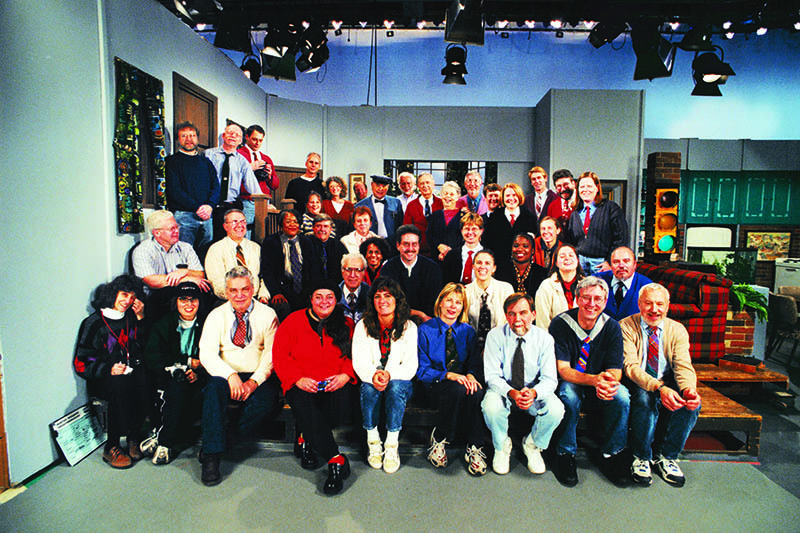 Once Studio A was prepared for taping, the Production Crew morphed into the Floor Crew – floor manager, assistant floor manager, lighting grips, etc. 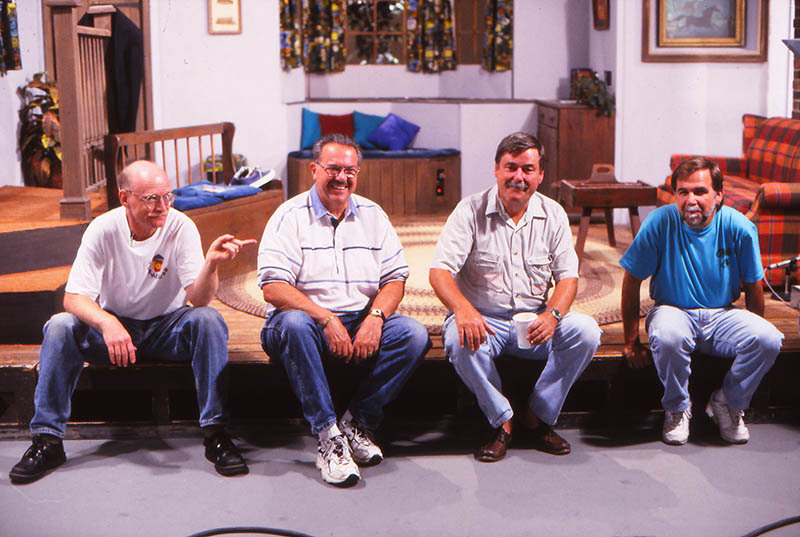 Floor crew members operated the Trolley as it arrived and departed from the “Interior” – the house where Mister Rogers visited with his television friends. They made adjustments to the lighting. They ran the teleprompter. 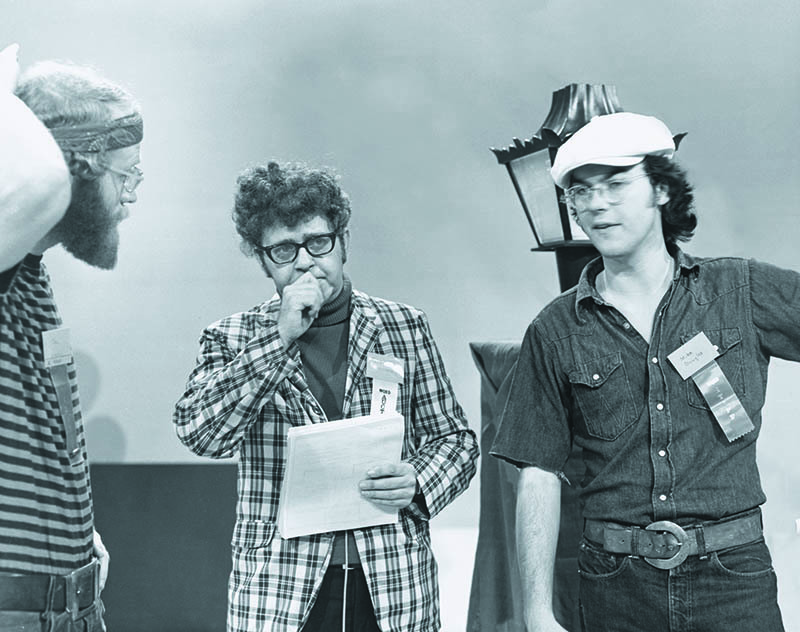 They communicated with Fred – silently – about how many minutes or seconds remained in each segment. 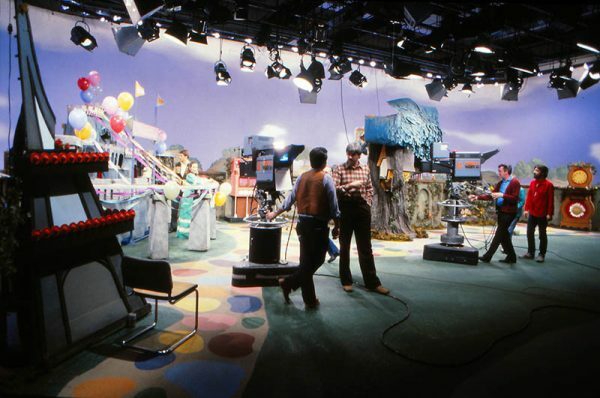 And after the taping session was over, they were the Production Crew again – dismantling the sets, returning them to storage and transforming Studio A back to its empty, neutral configuration. 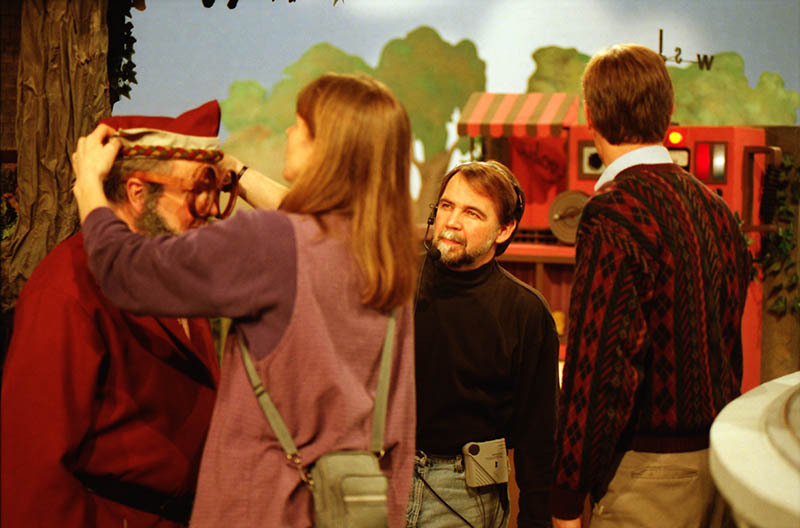 Those working in the studio were in close, personal contact with the important messages Mister Rogers conveyed to millions of viewers – that children and their feelings are very important, that childhood experiences can leave lasting impressions and that there are many ways to be a kind and compassionate person. 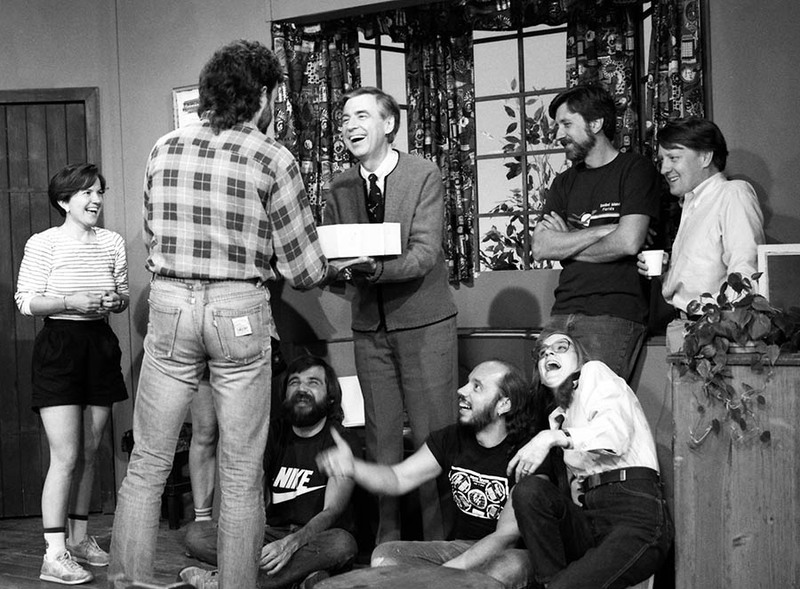 And, at the same time, the friendships that Fred Rogers formed with his art and production crews – and their families – affected him deeply and were great sources of inspiration to him.